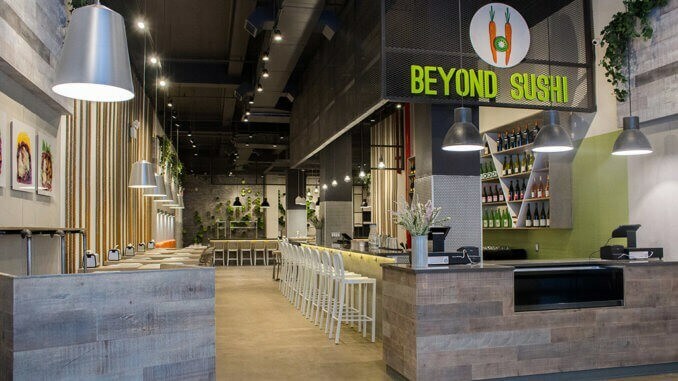 New York’s Beyond Sushi has received $1.5 million for a 25% share of their west coast business and 5% of the business at the east coast location, through TV show The Shark Tank. The company is projected to make $5.6 million profit this year. Beyond Sushi is a casual vegan “grab and go” restaurant serving only quality plant-based sushi. Their extensive menu includes salads, wraps, dumplings, and vegan sushi rolls. They were founded in 2012, operate six outlets in New York, and have current plans for expansion in the west coast of the US. During this week’s The Shark Tank, there was an initial hesitation over shares, then a final offer was accepted for a combined investment of $1.5 million for a 30% share of (future) west coast business and a 15% share of east coast operations.